Link building is a great way to get you noticed online, but only if it is done properly. Poor link building will result in no exposure, because if you're getting attention only from web-crawling robots, chances are, as soon as there is an algorithm change, your link will be rendered useless. It is of the utmost importance to build links that will drive human traffic to your Web site, not just the robots. Web sites are looking for clients. You want users who are interested in the products and/or services you offer, and you want them to find you by using the proper keywords and links that will lead them to your site. Perfect examples of effective link building come courtesy of Dell Computers via their discount products Twitter page. This page, specifically focused on discounted Dell computers generates approximately 3 million dollars in revenue per year. Dell's use of Twitter is a clear-cut strategy to focus one aspect of their well-known brand on the social media phenomenon. It has paid off handsomely for the company, as they are already a well-known brand, but they have been able to cultivate the latest trend in social media to reach even more customers. Another example of effective link building is to advertise products and services on related blogs. Blogs directed at new mothers are perfect for advertising baby products. If there are articles by experts weighing in on specific topics on news/political/current events Web sites, there will be ad space for related services. The articles are usually archived on the site, so there will always be a perpetual audience looking for the information relevant to them. Joining other social networking communities such as LinkedIn can help raise the profiles of individuals providing services or products. Users are becoming more and more search savvy, so having a LinkedIn profile adds credibility to your company, giving users the confidence to click on your links, knowing they are researching a reputable individual or organization. The one thing to always remember is that Google is constantly changing its algorithms. Having the number one spot on a search engine results page isn't the only way to achieve success. If users are finding links to your sites on other sites they are looking at, this is just as important. Having a high SEO page rank doesn't necessarily equate to increased revenue. Exposure is key, and proper link building is crucial to SEO success. Converting browsers on other Web sites into buyers on your Web site more than makes up for not having a number one ranking. After all, what good is that ranking if there is no revenue supporting it? Toronto SEO experts know how to build sturdy links. 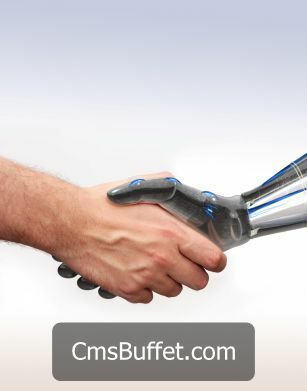 We understand how to appeal to customers, while simultaneously keeping the robots happy. Let us put our expertise to work for you.